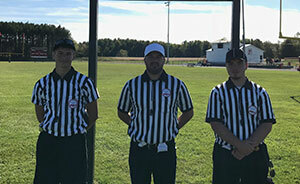 Q: Who can become an MHSAA Student Official? A: Any high school junior or senior enrolled in an MHSAA member high school. Q: What does it take to become a good official? A: It takes lots of things, but most certainly a very thorough knowledge of the rules of your sport, a love of athletics and kids, physical ability, self-confidence, the dedication and determination necessary to work hard, and above all, personal integrity. The athletes and coaches look upon each contest as being the most important thing happening in their lives at that moment, and the official must look upon each contest the same way, and react accordingly. This avocation is not for everyone, but if you have the interest and the attributes described above, you may find this to be some of the most rewarding work you will ever be involved in. A: None. It helps to have participated in the sport you officiate, but it is not necessary. Study and effort are as important as anything. Q: What are the benefits of officiating? A: There are several points of view but generally officials agree that these elements are benefits that make officiating worthwhile. 1. An opportunity to give something back to the sports enjoyed. 2. A way to stay involved in the sport(s). 3. Physical activity and exercise. 4. The chance to work with kids. 5. Opportunity to earn extra money. 6. An opportunity to see your avocation become a vocation. Q: What expectations will officiating have of me? A: To become a respected official one must invest time to learn, time to practice and time to develop. Although the time devoted will vary from person to person, there are some requirements that must be observed. Rules meetings, clinics and officials meetings are necessary and part of the professionalism expected of officials. As with most things, officials improve according to their efforts. Q: What expenses will I have? A: Each sport requires an official to dress specifically. 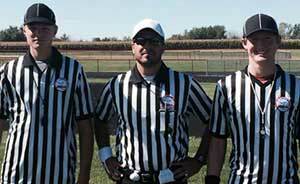 The MHSAA Officials Guidebook details the uniform requirements. Some sports such as baseball require special equipment. The new official will benefit from purchasing quality uniforms and equipment. Some associations or your mentor may help you get started by arranging the use of good, clean used items. Officials never use corduroy, denim or cotton slacks. 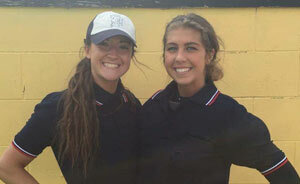 Button-down collars are not appropriate for umpire shirts, and shoes must be solid black or in a few cases white. Officials are not permitted to become a “billboard” for manufacturers. All officials officiating a contest shall be attired identically. Q: What is the biggest adjustment I may need to make? A: It is important to understand that the basic ingredient of officiating is that of being a decision maker, and sometimes people do not like decisions that don’t go their way. Once you clear this hurdle and realize that people will criticize you because you make necessary decisions, rather than because you are a bad person, and you can accept this fact, you are on your way. It is not easy. Do not get discouraged! Stay in the game! A: Each individual school, or perhaps the conference or league establishes the pay schedule for regular season games. Q: What are the registration policies for the student official? A: An official who works any contest for member schools in grades 6-12 must be currently registered with the MHSAA in baseball, basketball, competitive cheer, football, softball, wrestling, volleyball, soccer, ice hockey, track/cross country, and swimming and diving. Registration is for one year, August through June and is renewable subject to the approval of the MHSAA. Officials are expected to be neutral and competent. All MHSAA policies and regulations are to be adhered to and enforced. 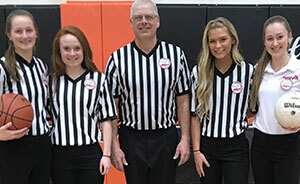 Any high school junior or senior is eligible to be registered for one year in the Legacy Student Official Program and are eligible to officiate 7th grade - subvarsity events along with a mentor who is an approved or authorized official in the sports listed above. High school students will receive no ratings for their registration period. However, registration will apply to awards for years of service. High school student officials will benefit from a waiver of the standard processing fee/liability insurance fee for one year. Registration of the current per sport fee will be the only fee charged high school student officials. 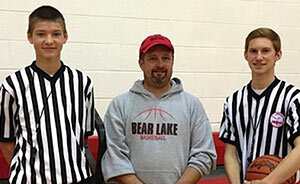 Q: How does a high school student get involved in officiating? A: To register with the MHSAA, complete the registration application and the Legacy/Mentor Pledge Form, located in the upper right hand corner. Contact someone you know or one of the Local Approved Associations to arrange for a mentor and submit a Legacy Student Official Program - Mentor Pledge with your application. Complete the application and send it with the proper fees (check or money order) to the OFFICIALS DEPARTMENT, 1661 RAMBLEWOOD DRIVE, EAST LANSING, MICHIGAN, 48823. The MHSAA Officials Guidebook exam is required of all new officials. Football and basketball currently require each new official to take a mechanics exam before the registration is complete. Remember, if you register for sports in addition to football or basketball, your registration will not be processed until the test(s) are returned and passed with a 70% or better. When all obligations are met, the new official will receive a certificate of registration, emblem(s), plus all necessary Rules Books, Case Books and Officials Manuals. "Football officiating has allowed me to become more involved with football beyond just playing so that I can be a part of the game for years to come. I have also learned how to better communicate with people." "It has facilitated my understanding the rule of the game and the philosophy of how and when rules are enforced. It has also taught me about handling tough situations." "Football officiating is a way to give back to a sport that has opened up a lot of opportunities for me over the years." "I like getting to see the game differently and learning more about the game." "The Legacy Program allows players and non-players an opportunity to gain knowledge of a game they love from another perspective. When I see the values important to other areas of life being taught on the floor and in huddles, it warms the heart." "There is something about putting on the stripes and being able to reward kids when they work hard and succeed. 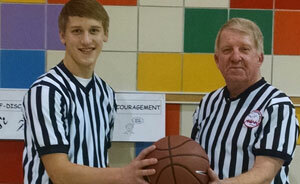 As an official the most rewarding aspect is being able to uphold the integrity of the game. It is extremely rewarding for me and, after all, being the official means you have the best seat in the house!" 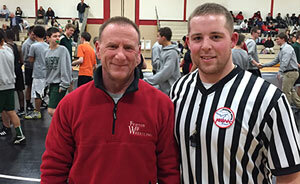 "I officiated one of Ryan's matches and after the contest he was talking about officials in general. He thought the differences between officials seemed unusual so I challenged him and told said, 'We could use young officials like you!' His response was, 'How do I get involved?' It was a great response, as I am one of the board members of a local wrestling association. I think he was shocked as to how quickly I had him registered and working." "This is a great learning experience. I've learned more about the game than I ever thought I would." "I've always wanted to be a referee so starting the journey is a real treat. I love learning and working with the student-athletes." "My favorite aspects of officiating are learning more about the game, seeing how the teams progress through the year, and watching the players have fun." "My favorite aspect of officiating has to be the opportunity to interact with, not just the athletes, but the coaches and other officials." "I enjoy being able to watch other people play football and being able to make the calls that can determine the games." "I enjoy having the opportunity to stay active in the sports that I love while also watching the next generation of young men and women demonstrate their love and passions for the same sports I enjoyed growing up. I have worked with Grant and Riley as a teacher, coach and now mentor official for the past 5-6 years. It has been an honor and a privilege to watch them grow and mature as a young men." "I enjoy being part of the kids' lives and making it possible for them to play the games. This is also a chance for me to give back to local communities, schools and athletic programs." "Ezekiel taking and passing the online officials exam was memorable for me before he even stepped on the field. His attitude and willingness to ask questions and improve is impressive. He also reminds me to wear my down marker, which I tend to forget." "I love sports in general and having played basketball, it provided me the opportunity to officiate in the Legacy Program." "I enjoy being a part of the games that I have either played or coached, and making a difference in the players' lives. I am convinced that organized sports add structure and discipline to a student’s life, helping to mold a well-rounded individual and adopt a sense of fairness and sportsmanship. Jeremy is an intelligent student of the game and adapts well. He listens, learns and has shown to be a genuine asset to the officiating regime." "It allows you to be outside, stay active, and involved with kids. I have a passion for sports." "I like being able to keep in touch with sports." "I keeps me involved in athletics and I like being around the kids." "I like staying in the sport even when not playing." "Officials generally love the sport and are community-oriented and love to give back to the games. 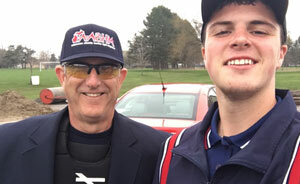 In 2016, I mentored nine legacy officials as umpires who ended up with subvarsity schedules with help from LakeVille AD Drew Johnson. 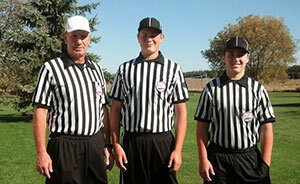 We also started an officiating class for baseball, football and basketball." "You understand a sport much more when you are officiating. Making judgement calls, seeing the play as it happens from a different viewpoint. I also like staying close to the game." "The highlight of mentoring was bringing my sons along in basketball and football. Now that they are accomplished officials in their own right, it has been a pleasure to work with another new official, Kevin McKerr." 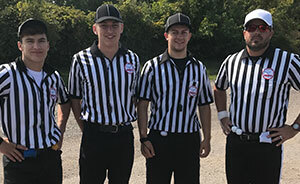 "Staying involved in sports I love is important; I enjoy the challenge of staying physically viable to officiate and the camaraderie with fellow officials." "I really like just officiating the game in general. I love to play volleyball and it’s quite fun to officiate as well." "I officiate to give back to the community that has given me so much. My favorite aspect is a toss-up; watching the girls improve through the season, or seeing their joyous celebration after a spectacular play. AJ is a pleasure to work with and will be a very good official. He is poised and composed." "I love helping out kids do what they love. 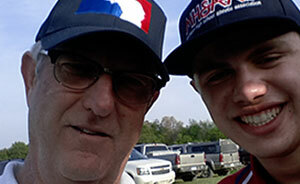 Jack is a great guy and I can't thank him enough for getting me certified and scheduling my games." "I love the outdoor aspects of baseball and football, and then running the hardwood in basketball." "I love being part of the game from a different standpoint. Officiating has given me a great sense of leadership and maturity that I couldn't have learned anywhere else." 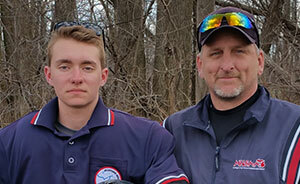 "Watching Austin grow as an umpire these last two years has been memorable. I'm excited to see what the future will bring to this young man in officiating." 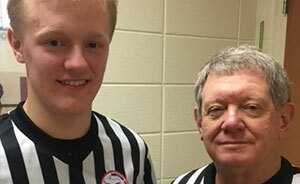 "I like getting involved in school events with Mr. Pargeon who not only coaches me in basketball, but also helps me understand officiating as my mentor." 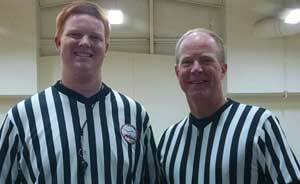 "Refereeing with Mr. Pargoen teaches me new facets of the game. I also enjoy it because this is one of my favorite sports"
"I like Working with the younger players, I learned more about the game because I see it from a different perspective. I appreciate other officials when I play." "As an avid sports fan, I like how officiating has provided me with a way to be involved in sports without being a player. I like how officiating has provided me the ability to help younger athletes understand the game. By doing this, I like how I am able to learn more about game situtations." "I love watching kids play hard and learn about the sport they are playing. It also helps me see the game from another point of view and understand why veteran officials make the calls they do." "I enjoy seeing the other aspect of the game, the side not many get to see. 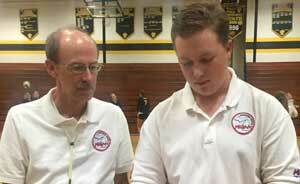 The intricacy of how the game runs and how officials keep it running smoothly." "My favorite part of officiating is being on the field again, especially since this was my last year playing." "I love being the guy who makes the calls. Doing this makes me more interested in the sport and I'd love to do this for many years." 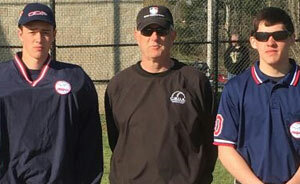 "I love being able to officiate sports that I have played. It also teaches me more about the game while I am an active athlete." "This year I was able to work with five legacy officials. What made this really special for me was that all five legacy officials were former and current players for me on the football teams that I have coached. One memorable experience for me was calling Hunter from the hospital after the birth of my son this fall. I needed someone to cover the games I was scheduled to work the following day and I had confidence that he would get the job done. Hunter did an outstanding job refereeing those games in my absence." "Officiating keeps me involved in sports, and I want to keep improving as an official. I enjoy showing others what being involved and contributing/giving back can look like. " "I enjoy being a member of a fraternity, a 'family' of men and women who respect and admire the work and dedication athletes, coaches, teachers, and parents give to their sport. In addition, having the opportunity to work and become friends with individuals who represent all of society, without the barriers of differences in each of us. There is never a better moment then seeing an athlete rejoice in their individual or team’s accomplishment while being humble and respectful to opponents." 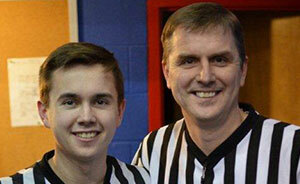 "I get to officiate with my dad. We love sports, so working games together has been a lot of fun. I love going to all the different games." "Officiating allows me to stay in the game and give back to the community. I enjoy the challenge that comes with officiating high school sports. Working with my son, I've seen the growth in his first year and couldn't be more proud. He keeps my partner and me on our toes, as he is always 'evaluating' us when he is not officiating. Getting compliments on my son's performance puts a smile on my face." "I enjoy interacting with kids. A lot of them are playing the sport for the first time, so it's fun to have an opportunity to help teach them the rules. I also enjoy the teamwork among officials. All officials are on the same team during the game, and it is great to see each other making good calls and being able to trust and rely on one another." "I love learning more about the game of basketball because it helps me as an official and player. I like to ref little boys and girls because I can teach them new things, help them become better players and encourage them to become better sports. Finally, I like stepping out of my comfort zone and becoming more assertive." 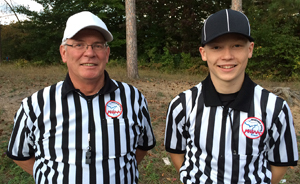 "I like reffing youth tournaments and having the ability to teach those kids the rules." "My favorite aspects of officiating are staying in touch with the sports I love and learning about the sports in a new way." 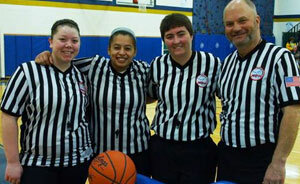 "These young ladies work very hard to learn the duties, rules, and mechanics of their sports. 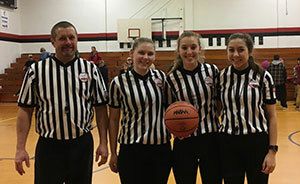 They have a great future in officiating, and the MHSAA is gaining four fantastic officials."